It's mezcal Monday! At our latest Galentine's, the ladies and I whipped up a smoky mezcal margarita with a spicy Sous Weed agave infused with jalapeños and Batch Seven's 501 OG. If you toss in a raw cannabis leaf, you get the lovely medicinal properties of THCA and a kickass green color. Also, I really just miss Game of Thrones. 1. Take your crushed flowers and use the sous vide decarb method to maximize the THC potency. 3. Pour your agave into a mason jar or freezer-safe zip-seal bag and mix in the decarbed cannabis and jalapeño slices. Seal the jar and gently submerge into your water bath. Sous vide for 2 hours. 4. After two hours, remove from water bath and strain. 5. Use in cocktails for a kick! Keep in fridge. 1. Combine all ingredients in a blender and blend until slushy. 2. 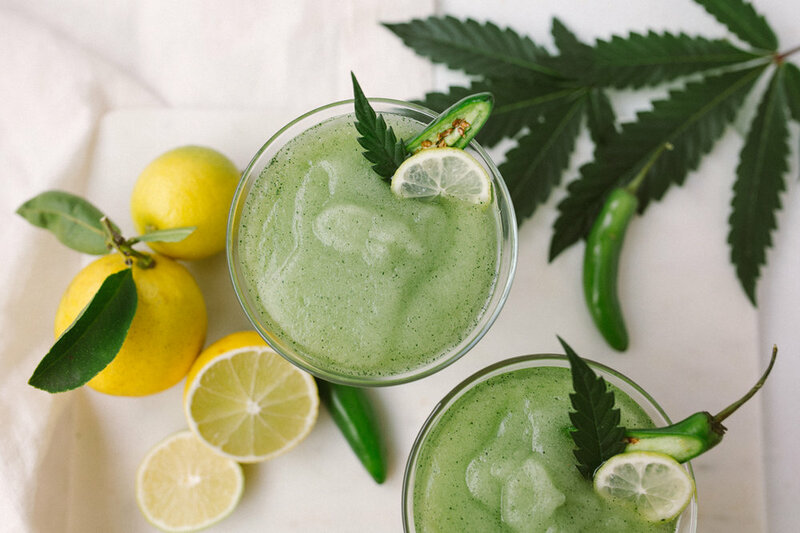 Garnish with a hot pepper and cannabis leaf. Serve immediately. 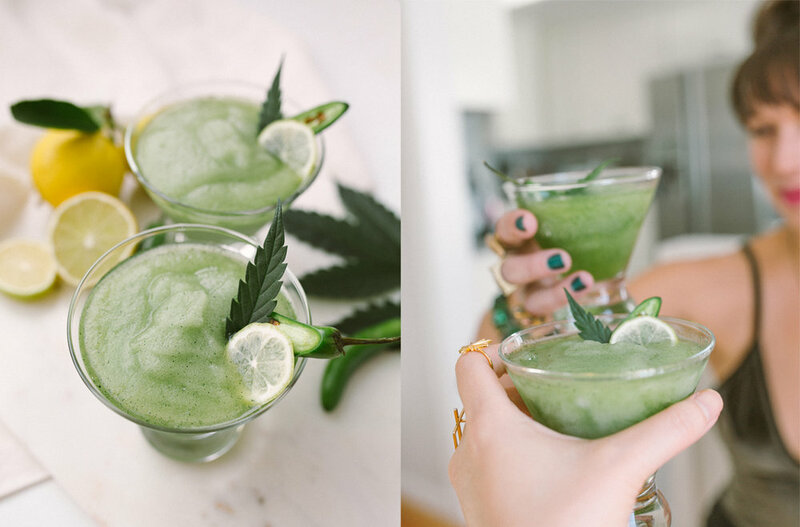 *Note: The amount of cannabis agave specified in this recipe is a very loose suggestion; the actual amount you use should be modified based on the strength of your agave and the potency you desire. Dosing homemade edibles can be tricky, so the best way to test for potency is to start with one portion of a serving, in this case, one teaspoon, and wait one to two hours, then make an informed decision on whether to consume more. Always dose carefully and listen to your body, and never drive under the influence of cannabis.